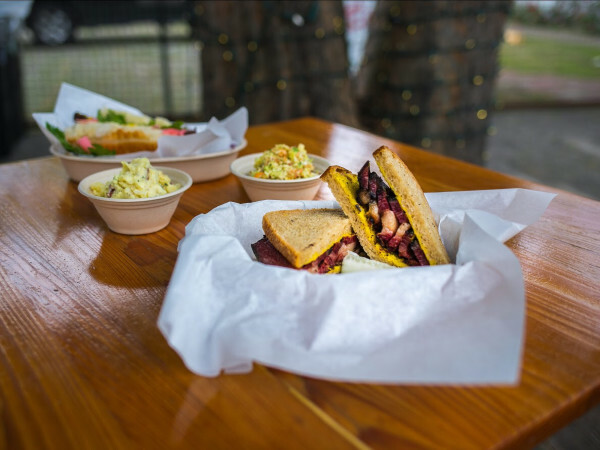 There are dozens of bars throughout Austin that serve excellent drinks, flawlessly prepared with craft spirits and locally sourced ingredients. 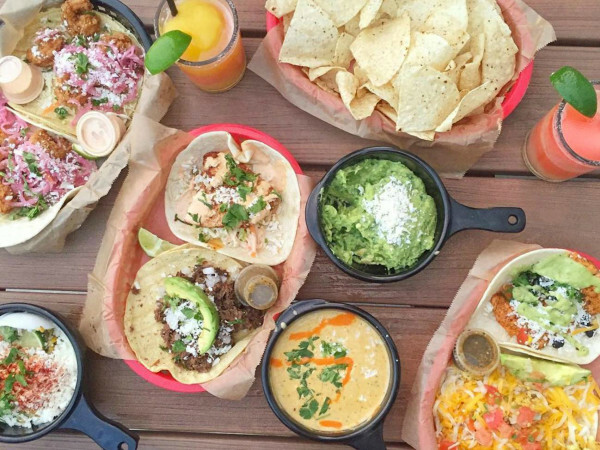 The rise of cocktails in Austin is riding the same wave of popularity as our foodie craze, with correspondingly high expectations for quality ingredients and impeccable service. Austin’s bartenders take their jobs seriously, pouring over books, studying with spirits ambassadors, bringing culinary techniques to the bar and competing — and winning — in national competitions. Nine of the city’s finest bartenders have been nominated for the CultureMap Tastemaker Awards. Meet the Bartender of the Year nominees below. After stints at swanky cocktail dens in New York, Beverly Hills and Los Angeles (where he won the Best Cocktail Bar in America award at the 2012 Tales of the Cocktail), Bostick returned to Austin dripping with drink cred to start Half Step on Rainey Street. At Half Step, he oversees a serious cocktail program complete with custom cut ice. "Opening Half Step is by far the biggest accomplishment in my career to date," says Bostick. "It was such an undertaking that involved an incredible amount of work. The success of Half Step has made all of the hard work extremely gratifying." Must try: The Ginger Paloma, on tap at Half Step, featuring Tequila Ocho Plata, fresh lime and grapefruit as well as Jarritos Toronja Mexican Soda. Dunavant has brought a smile to Austinites while working at several top notch bars including Whisler’s, Drink.Well., Odd Duck and Sawyer & Co. This Memphis native has been bartending since college and has earned prestige by winning the Bombay Sapphire Competition in Austin. She recently took the helm of the bar program at the new JW Marriott, which has Osteria Pronto, Corner Restaurant, Burger Bar and Lobby Bar. Must try: A classic margarita made with the large selection of tequila in the Corner Restaurant. Elliott started at The Tavern and has been in the drinks business ever since, with jobs at Brooklyn dive bars and now Qui. Last year Elliott’s Tepache Collins, a traditional Mexican street drink made with barely fermented pineapple agua fresca, was named the Official Drink of Austin. "The thing I'm most proud of, though, is my staff," says Elliott. "We’ve created a really great culture at Qui. Really thoughtful, progressive cocktails are hard enough to put out, especially in a fast-paced environment. To be part of creating a team that makes cocktails look and taste great all the time in a super-fun environment is incredibly rewarding." Must try: The spring cocktail menu at Qui features an Underberg-spiked Death in the Gulfstream with Genever and lime. Hankey earned a reputation for making serious cocktails behind the stick at The Good Knight and then as bar manager of Second Bar + Kitchen. Now he is drawing crowds to King Bee on East 12th Street with killer craft cocktails and delicious pizza. "When Colette and I first started dating, in fact on our first date, we told each other how much we wanted to open our own place," he says. "We want to influence everything from fare all the way down to what was on the jukebox. Almost five years later, we have that place. King Bee embodies love and support, the same love and support I get from Colette every day." 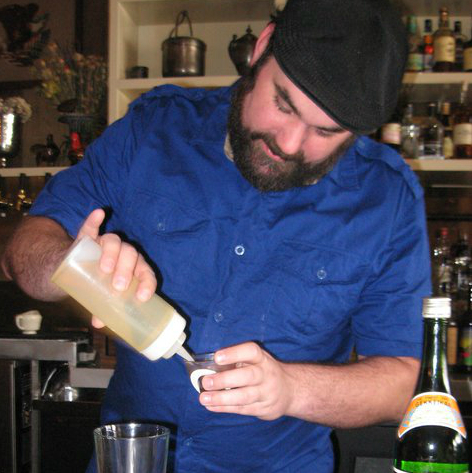 James has honed his impressive bartending skills at fine Austin bars such as East Side Show Room and Volstead. He now leads the bar at Garage, the covert spot tucked inside the American National Bank parking garage. James recently crafted the winning Official Drink of Austin 2015. 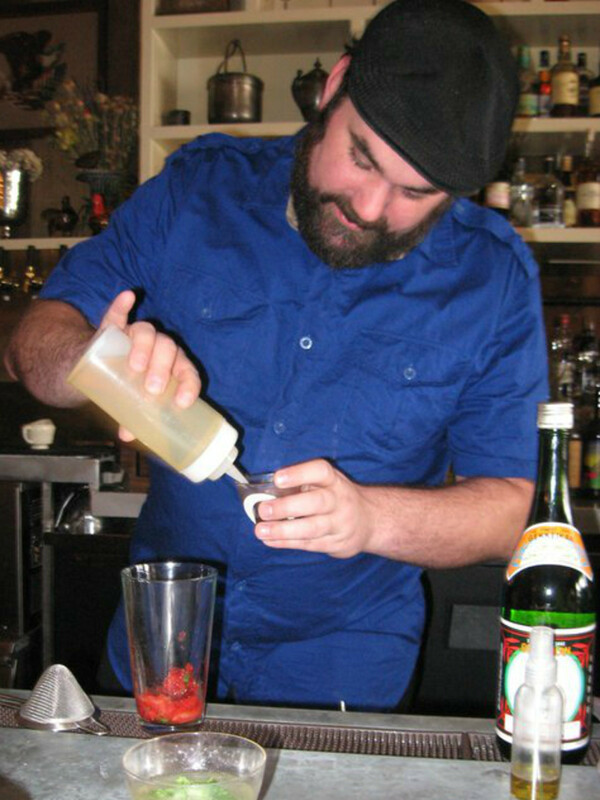 He also won the 2012 CultureMap Tastemaker Award for Mixologist. Must try: The Indian Paintbrush (The 2015 Official Drink of Austin) made with vodka, fresh grapefruit juice, fresh lime juice, rosemary syrup and Peychaud’s Bitters. After working for 25 years as a medical technician, Pritchard made a significant career change and opened the Tigress Pub on North Loop in the spring of 2010. The cozy bar packs in cocktail lovers with its ever-rotating menu of classic and Pritchard-made drinks. The tiny bar recently expanded from 20 seats to about 40. "I feel pretty good about being in business for five years," says Pritchard. "I’m loving what I do and especially loving all the great people that have come into my life." Must try: The White Dove, made with white port, dry vermouth, elder flower, served in a tall glass with ice and fruit garnish. Robbins has been a fixture behind the bar at Drink.Well. since 2013. She is as deft with a classic Sazerac as she is with a flaming tiki drink. "I think the importance of a fantastic bar team is very underrated. It’s always been one of my biggest priorities. When people have the right chemistry behind the bar it translates into customers’ ultimate experience, from the drink on their table to the overall atmosphere," she says. Must try: The Daiquiri made with Smith & Cross over-proof Jamaican rum and lime juice. Sanders opened neighborhood cocktail bar and restaurant Drink.Well. in 2012. Since then, she has made waves in the Austin cocktail scene by competing regularly in national competitions, gathering accolades and serving as the president of the local chapter of the United States Bartender’s Guild. "When I am behind the bar and I see someone walk into Drink.Well. for the second, third or fourth time ... that’s an accomplishment worth celebrating," Sanders says. 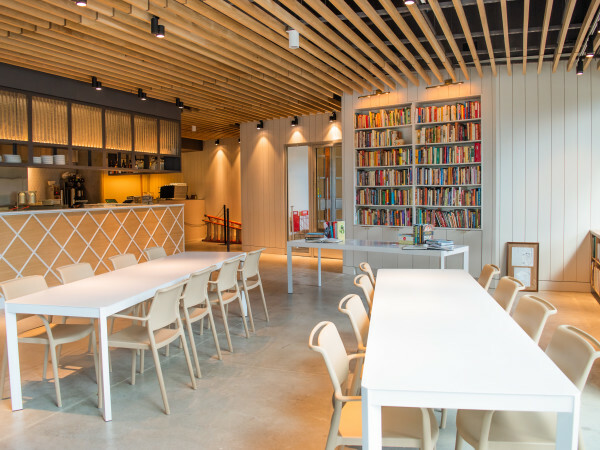 "I am proud that I’ve helped create a space where people come to be made happy and feel welcomed to return again and again." Must try: Martini made with 50/50 gin and vermouth and a lemon twist. As the director of bars and beverage for La Corsha Hospitality Group, Stevens presides over the drinks at cocktail mecca Bar Congress as well as Second Bar + Kitchen. He also has a hand in the soon-to-open Boiler Nine Bar + Grill in the Seaholm development. "I’m most proud of convincing my mom to stop making margaritas with bottled artificial mix," Stevens says. Must try: Barolo 12 year grappa and a Real Ale Han’s Pils chaser. The Bartender of the Year will be announced at the 2015 CultureMap Tastemaker Awards on May 12 at Brazos Hall.